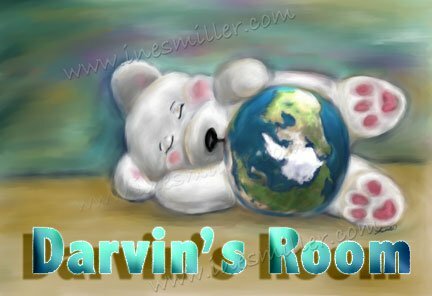 Custom name Art print PERSONALIZED Children Room sleeping cub Earth white bear custom print 13" X19"
This Cuddling Teddy Bear cub holding planet Earth print may be personalized with name or phrase of your choice; simply drop me a note at time of check out. Excellent quality work you will love this personalized art print, makes a wonderful Gift! Personalized teddy Bear digital art print comes directly form artist Ines Miller Studio. This is a High quality Print , Image has been printed using Archival Ink for many years of enjoyment ; unframed print size is 13"x19" printed on high quality heavy weight Professional Archival Paper. Picture print is so rich in color you can actually admire the brush strokes from the original painting. .
For Customized Art Work please visit Timeless Memories Art web site at: http://www.inesmiller.com and enjoy more art samples. Your original Art print will not have the copyright water mark. Timeless Memories is the sole distributor of Ines Miller original Art & Art Prints ; if you ever encounter a reproduction of any of my images under another company's name or Internet seller please drop me a note with the url- you will get one free print. I greatly appreciate your support and your wonderful e-mails. If you need additional pictures feel free to e-mail me.